A series of transactions have been completed at Chineham Park, ‘brokered’ by BDT. 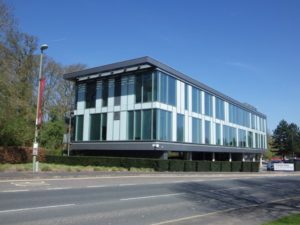 We were appointed in April 2018 to market smartly presented offices at Forest View, held on leasehold terms by Anoto Limited. Forest View (formerly South 60), forms one of the most prominent corporate style office buildings at the entrance to the Park. Interest was soon secured from Cirrus Logistics Ltd who already occupied office premises on the Cedarwood phase of the Park. 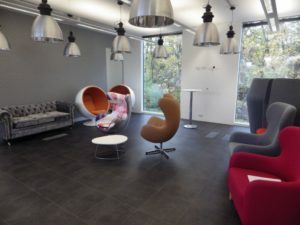 Their expansion requirements were such that the 5,575 sq ft of space at Forest View matched their future requirements perfectly, particularly as the space had been attractively fitted by Anoto. However, their interest was dependent upon having the option to either secure a 5 or 10 year lease term in order to satisfy their German parent company requirements. Anoto’s lease did not meet this requirement. Consequently we had to involve the Business Park owners, Frasers Property, who, following negotiations agreed to surrender the Anoto lease and grant a new 10 year term with a 5th year break option to Cirrus at the equivalent of the former passing rent of £20.00 per sq ft. Anoto contributed to the majority of the rent free incentive required by Cirrus and also agreed to leave fixtures and fittings in situ – in return for a clean break from their future leasehold obligations. 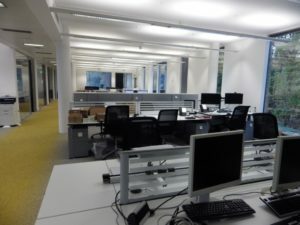 To complete the ‘chain’, the offices to be vacated by Cirrus are likely to be relet by Frasers to the adjoining occupier, Voyager Software Ltd, who also continue to expand. Anoto (www.anoto.com) is a Swedish owned technology company that develops and licences digital pens and interactive white boards. Their UK operations will now function from Serviced Offices, at least for an interim period. Cirrus Logistics (www.cirruslogistics.com) provide IT support solutions within the logistics supply chain and the maritime industry.